Coinciding with UNAIDS Zero Discrimination Day, we are convening an event to look at the implications for screening and treatment of HIV co-infections with viral hepatitis in South East Asia. On 1 March, the world will be marking the second annual UNAIDS Zero Discrimination Day 2015, a call to people everywhere to promote and celebrate everyone’s right to live a full life with dignity – no matter what they look like, where they come from or whom they love. 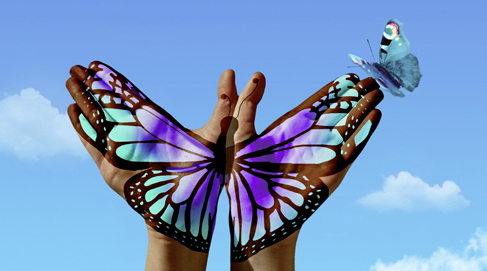 The symbol for Zero Discrimination is the butterfly, widely recognized as a sign of transformation. We have been convening meetings on HIV/AIDS treatment and prevention since 2005, with previous meetings held in South Africa and Geneva as well as events at our home in the UK. This year’s event, HIV co-infections with viral hepatitis: implications for screening and treatment in Asia, is taking place in Singapore over the weekend of 28 February – 2 March to coincide with Zero Discrimination Day 2015. Discussion at the Singapore meeting will focus on major scientific advances in screening and therapeutics, as well as approaches to overcoming barriers to access. Participants will share scientific and programmatic expertise, debate critical issues and identify practical ways to rapidly expand access to screening and treatment in heavily impacted communities across Asia. Last year we convened a meeting on Promoting the human rights of LGBT persons: next steps for international institutions and civil society? and will continue to include dialogues around the topic of Zero Discrimination in its calendar of events. Promoting the human rights of LGBT persons: next steps for international institutions and civil society?